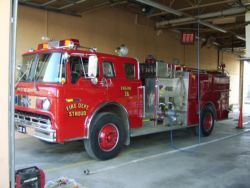 The preservation of life and property is the central mission of the Stroud Fire Department. Stroud Rural Fire Association is a non-profit organization for rural, non-commercial residents. We are a grass fire association that assists members when they have a fire. Membership rates are dictated by the amount of property to be covered. For more information call 918-285-5319. The Campaign has been launched worldwide. The idea is to store the word "ICE"
injured and unable to communicate this information.